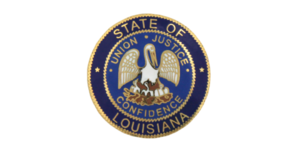 These lawyers were the subject of Louisiana Supreme Court disciplinary orders or Louisiana Attorney Disciplinary Board recommendations published during the month of January 2019. Daniel E. Becnel. The court suspended the respondent for one year and one day. The respondent negligently mishandled funds in his trust account and had an extensive record of prior discipline, warranting an upward deviation from the baseline sanction of a deferred suspension. Alicia Johnson Butler. The court suspended the respondent for one year and one day, with all but six months deferred. The court also imposed a two-year period of probation. The respondent violated Rules 1.3 and 1.15 (d) by failing to promptly pay her client and third-party healthcare providers the amounts owed. The respondent violated Rule 1.4 by failing to disclose that she set aside $40,000 in a certificate of deposit to satisfy her obligation to a client and third-party healthcare providers. The respondent violated Rule 1.15 (a) by failing to maintain her trust account. Felix Dejean IV. The court suspended the respondent for one year and one day. The respondent violated Rules 8.4(b) and 8.4(d) by committing simple battery on his opposing counsel in the chambers of a judge. William Magee. The court suspended the respondent for two years. The respondent created three fictitious quitclaim deeds and forged the buyer’s signature without his knowledge or consent. In so doing, the respondent violated Rules 3.3 (a), 3.3 (d), and 8.4 (c). Ella Cortland Goodyear. The court suspended the respondent for one year and one day. The respondent was arrested and charged with driving under the influence of alcohol. The respondent violated Rules 8.4(a) and 8.4(b) of the Rules of Professional Conduct. 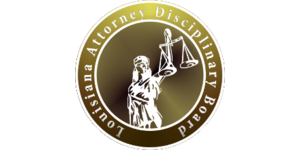 The Louisiana Attorney Disciplinary Board publiclly reported no recommendations during the month of January 2019. Hilliard Charles Fazande. The committee recommended that the court disbar the respondent. The committe found that the respondent violated Rules 1.1, 1.3, 1.4, 2.5, 5.5, 8.1 (c), 8.4 (a), (b), and (c). The respondent refused to return a client’s telephone calls or to return documents regarding a criminal matter. The respondent failed to complete any work for a divorce proceeding. The respondent failed to satisfy mandatory continuing legal education requirements and failed to pay annual bar fees. The respondent failed to complete work on an interdiction matter. The respondent was charged with a bank theft. Finally, the respondent failed to refund an unearned fee. Ronald David Harvey. The committee recommended that the court suspend the respondent for one year and one day. The committee found that the respondent violated Rules 1.4 (a-b), 8.1 (b-c), and 8.4(a). The respondent failed to answer his phone or to meet with his client in a custody matter. The respondent failed to report his drug and alcohol traffic violations to the Committee on Bar Admissions and failed to satisfy his continuing obligation to report such conduct to COBA. Michael Brian Rennix. The committee recommended that the court permanently disbar the respondent. The committee found that the respondent violated Rules 1.3, 1.4 (a-b), 1.5, 1.15, 5.5, 8.1(c), and 9.4 (a-d). The respondent deposited a check for estate funds into his personal checking account and converted it to his own personal use. Fruther, he forged his client’s signature and he continued to practice law after failing to complete mandatory continuing legal education requirements. Christopher Lee Sices. The committee recommended that the court permanently disbar the respondent. The respondent received a settlement check for a personal injury case, but failed to pay medical providers after demand for payment. The respondent misrepresented his affiliation with another law practice. Finally, the respondent failed to complete work on a succession and refused to refund unearned fees. Kemic Alan Smothers. The committee recommended that the court suspend the respondent for six months, fully deferred. The committee found that the respondent practiced law while MCLE ineligible and after failing to comply with Supreme Court rules requiring annual registration. Sanford A. Kutner. The committee recommended that the court enjoin the respondent from seeking admission to the Louisiana bar on a temporary or permanent basis for a period of at least three years. The committee found that the respondent, who is not licensed to practice law in Louisiana, engaged in UPL in this state, neglected a legal matter, failed to communicate with a client, failed to refund unearned fees, and failed to cooperate with ODC. Louella P. Givens-Harding. The committee recommended that the court permanently disbar the respondent. The committee found that the respondent defrauded Medicare of more than $575,000, a crime to which she pleaded guilty in federal court and for which she received an 18-month sentence of imprisonment.